C-line Reusable Dry Erase Pocket - 8.50" x 11"
Reusable Dry Erase Pockets help to improve students' skills. 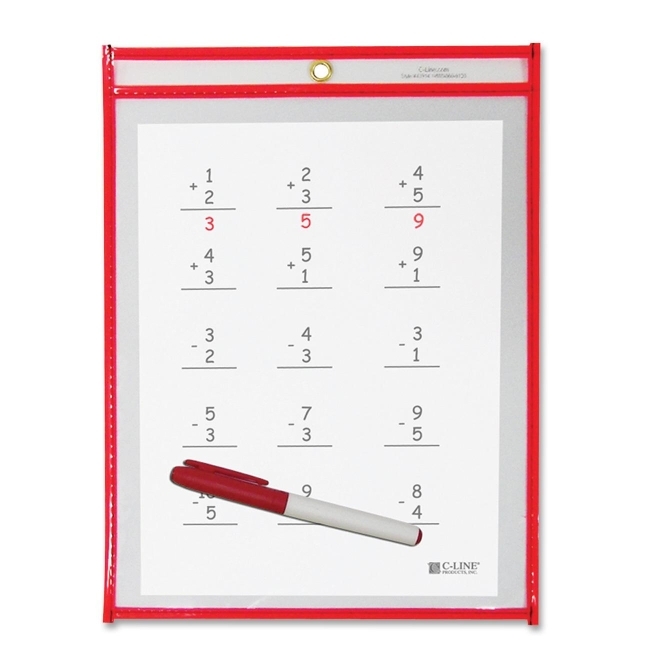 Anyone can easily practice math problems, letters, writing skills and more. Saves the environment, paper, time, and money by eliminating copying worksheets over and over again. Reusable super heavyweight pocket lasts a long time and convenient eyelet for hanging.